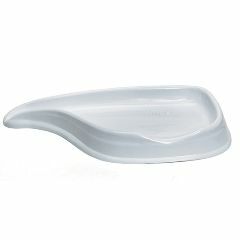 Double styrene tray makes it easy to wash hair, dress head wounds, or irrigate ears without moving the patient or wetting the pillow. Hang-up slot for easy storage. Heavy gauge, high gloss plastic. AllegroMedical.com presents The Bedside Hair Rinsers. Double styrene tray makes it easy to wash hair, dress head wounds, or irrigate ears without moving the patient or wetting the pillow. Hang-up slot for easy storage. Heavy gauge, high gloss plastic. Lightweight.